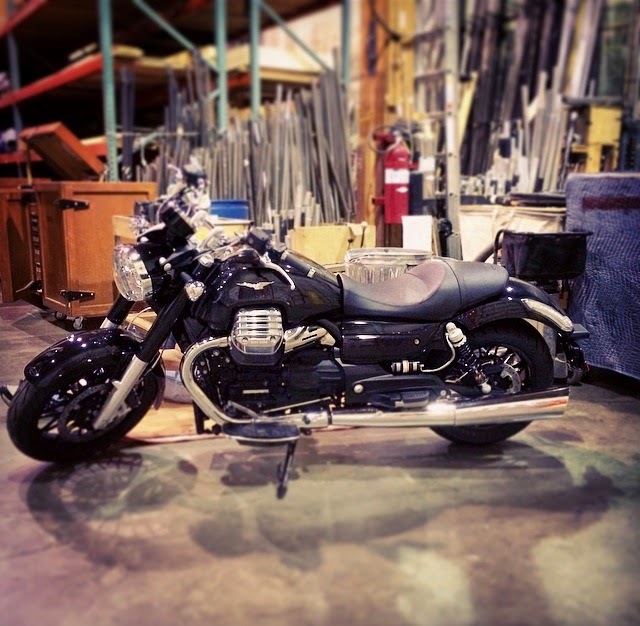 The motorcycle that Nicolas Cavallier/Mark Walters will ride as the title character in Don Giovanni which plays at Seattle Opera Oct. 18 - Nov. 1. Motorcycle provided by Moto International Seattle. This fall, one of the most popular operas of all time is heading to Seattle. Here's a hint: The hashtag we're using to talk about the show is #MozartsBadBoy! Yes, that's right. Don Giovanni's the name; sweet sin is his favorite game! Stage director (and three-time Seattle Opera Artist of the Year award winner) Chris Alexander also thinks there's more to the Don than simply being bad. Alexander is excited to show the character as dynamic, as monstrously charming (or a charming monster). Joining Alexander on Giovanni's artistic team is the one-and-only Gary Thor Wedow, known for his "authoritative musical leadership” and “vibrant conducting” according to The Seattle Times. 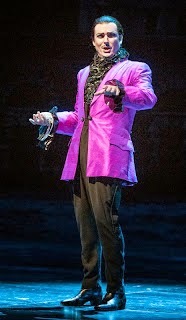 Alexander's most recent work at McCaw Hall includes The Tales of Hoffmann (2014). Recently, Wedow has led compelling performances of The Magic Flute (2011) and Orpheus and Eurydice (2012). Lawrence Brownlee returns to Seattle to sing Don Ottavio for the first time in his professional career. The Seattle Times said the Seattle Opera Young Artist graduate was “at the international top of his form” when he sang Tonio in Daughter of the Regiment a year ago, in October 2013. The newspaper added: “[Brownlee] sings his highflying arias with an ease, purity and polish that could hardly be bettered." 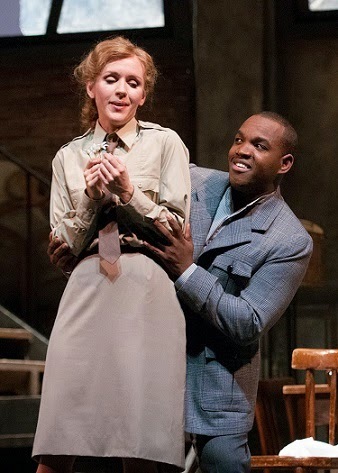 Lawrence Brownlee (right) pictured with Sarah Coburn in Daughter of the Regiment (2013). Cuban soprano Elizabeth Caballero returns to McCaw Hall for the role of Donna Elvira following her performance as Mimì in La bohéme in February 2013. “As Mimì, Elizabeth Caballero was far and away the best singer in the cast, her voice swelling gracefully over every note, light but powerful, precise but full,” wrote City Arts Magazine. Soprano Christine Brandes will sing Donna Elvira in the alternate cast. 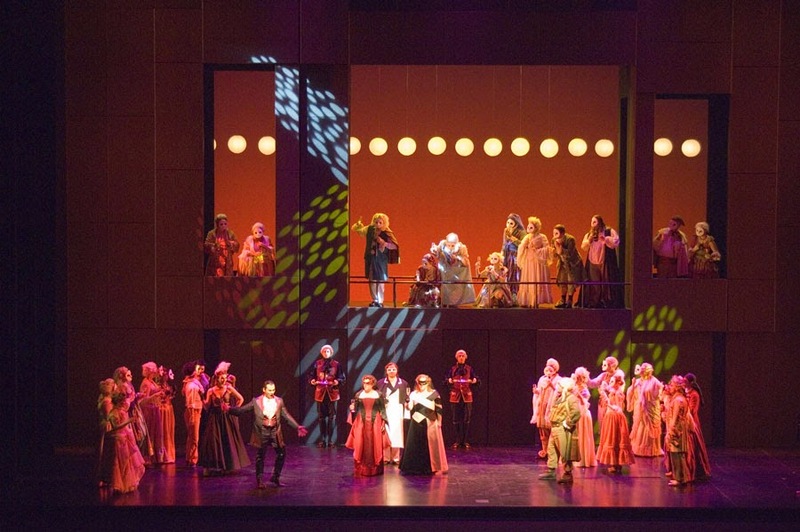 Previous Seattle appearances for Brandes include Pamina in The Magic Flute and Susanna in The Marriage of Figaro. 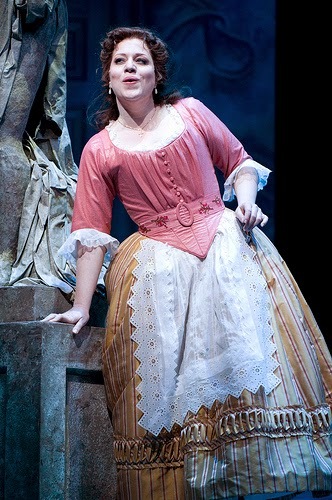 Elizabeth Caballero as Susanna in Le nozze di Figaro, 2009. Rozarii Lynch, photo. Making her Seattle Opera debut is Canadian soprano Erin Wall as Donna Anna—whose portrayal of this part has been called “exceptional” by the Vancouver Observer. Also making debuts in Seattle are several American artists: baritone Mark Walters (alternate cast Don Giovanni), soprano Alexandra LoBianco (alternate cast Donna Anna), tenor Randall Bills (alternate cast Don Ottavio) and Evan Boyer (Masetto). Don Giovanni also features Cecelia Hall as Zerlina and Jordan Bisch as the Commendatore. Erik Anstine returns as Leporello, a role he sang to praise from The Seattle Times in 2011 as a Seattle Opera Young Artist. Ashraf Sewailam returns as Don Giovanni’s manservant in the alternate cast. Marie-Therese Cramer’s chic costume designs incorporate both 18th century and modern-day fashions, and sets by Robert Dahlstrom were lauded as “the most persuasive and imaginative of his career” by The Seattle Post-Intelligencer in 2007. 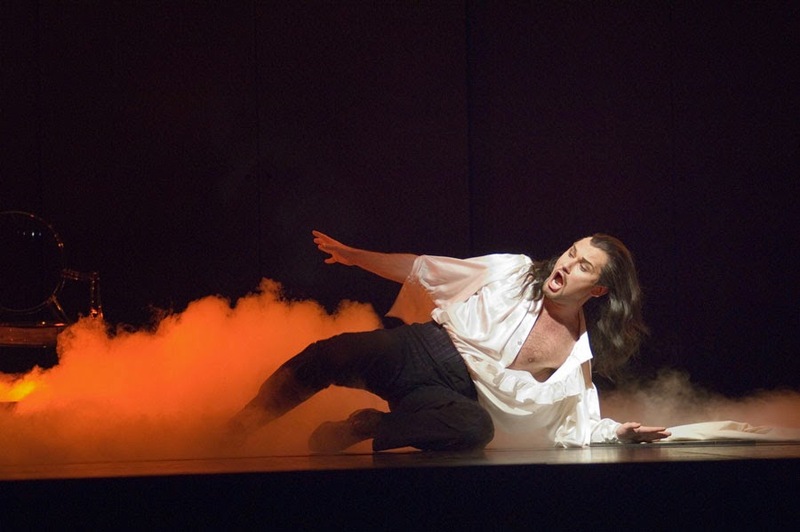 Don Giovanni in 2007. Rozarii Lynch, photo. For more information, go to seattleopera.org.